Kenneth Amis was born and raised in Bermuda. He began playing the piano at a young age and upon entering high school took up the tuba and developed an interest in performing and writing music. A Suite for Bass Tuba, composed when he was only fifteen, marked his first published work. A year later, at age sixteen, he enrolled in Boston University where he majored in composition. After graduating from Boston University he attended the New England Conservatory of Music where he received his Masters Degree, also in composition. Audiences around the world have enjoyed Mr. Amis’s music through performances by such groups as the Shanghai Symphony Orchestra, the Indianapolis Symphony Orchestra, the United States Air Force Band, the Hong Kong Sinfonietta, the Boston Classical Orchestra, the Detroit Symphony Orchestra and others. As a tuba player, Mr. Amis has performed as a soloist with the English Chamber Orchestra and has been a member of the Tanglewood Festival Orchestra and the New World Symphony Orchestra. His performance skills are showcased on many commercial records distributed internationally. Mr. Amis is presently the tuba player of the Empire Brass and the Palm Beach Opera Orchestra, the assistant conductor for the Massachusetts Institute of Technology Wind Ensemble, a performing artist for Besson instruments, and on the faculties of Boston University, the Boston Conservatory of Music, Longy School of Music and the Conservatory at Lynn University. An active composer, Mr. Amis has been commissioned over a dozen times and has written for many organizations including the New England Conservatory Wind Ensemble, Pro Arte Chamber Orchestra of Boston, the University of Scranton, the College Band Directors National Association, the Boston Classical Orchestra and a consortium of twenty universities and music organizations. 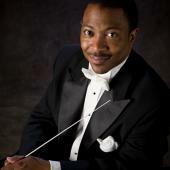 His music is published by Subito Corp., Boosey & Hawkes, Inc. and through his own company, Amis Musical Circle, which can be found at www.AmisMusicalCircle.com.